Recent, current, and future projected plant hardiness zones. Zone numbers labeled in top map. Data Source: PRISM Climate Group, Oregon State University, http://prism.oregonstate.edu. Changes in average and extreme weather are affecting Maine agriculture, bringing both risks and potential opportunities. Here are some observations of how Maine weather is now different from the past, what may lie ahead, and examples of farmer choices and actions that can minimize risk and help ensure productivity. 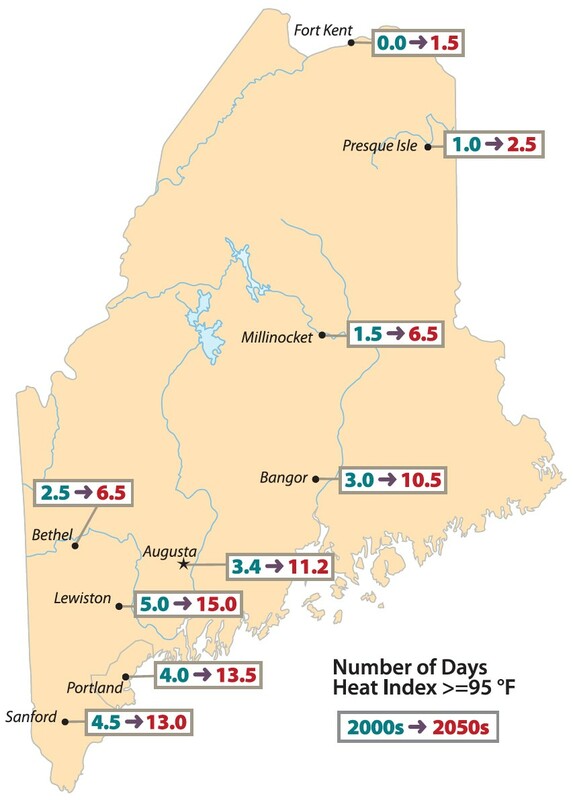 The average length of Maine’s frost-free growing season is now 12−14 days longer than in 1930, and is expected to further increase by 2−3 days per decade. Winter minimum temperatures that define plant hardiness zones are increasing faster than daily highs or temperatures in other seasons. Choose longer season crops or varieties, or be flexible with earlier or later planting dates for current selections. Double cropping, inter-cropping, and greater use of cover crops. Late winter/early spring temperature variability has caused early crop development before the last spring freeze date. 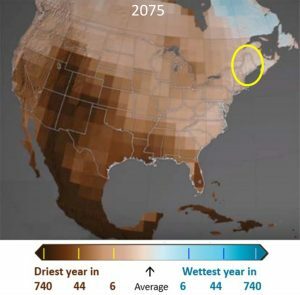 This affected apple and other Maine crops in 2012 and 2016. Consider spring frost risk in site/crop/variety, and planting date decisions. Minimize frost risk (hoop houses, mulch, row covers, inter-cropping, no-till). Enhance emergency response capacity (freeze forecasts, wind machines, irrigation, heaters, frost protectants). Diversify farm enterprise, consider crop insurance to spread risk. Regional average length of frost-free season for 1991-2012 compared to 1900-1960. Adapted from Melillo et al. (2014), Climate Change Impacts in the United States. Number of days per year with heat index at or over 95°F for 2000-2004 and 2050-2054. Source: Fernandez et al. (2015). 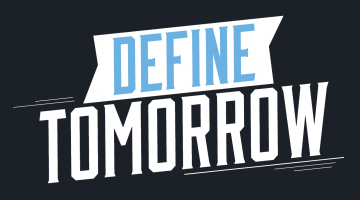 Maine’s Climate Future: 2015. Daily high and overnight temperatures are increasing. Extreme caution is advised for outside work when the heat index exceeds 90°F. High temperatures can damage crops such as apples and peppers, and can reduce productivity and health of dairy cows and other livestock. Consider temperature sensitivity in site/crop/variety and breed selection. Adjust crop planting date or livestock feed rations for temperature stress. Row cover, shade cloth, overhead or trickle irrigation, companion crops. Manage soil moisture to reduce crop sensitivity to heat stress. Adjust schedule and facilities to reduce worker heat exposure. Livestock cooling, barn design, stress monitoring, adjust reproductive timing. Use crop heat stress protectants, adjust harvest timing and handling. The frequency of extreme precipitation events in Maine increased 74% between 1948 and 2011. Intense storms that used to occur an average of once per 12 months now happen once per 7 months. The maximum hourly rate of precipitation increased by about 35% between 2001 and 2013. The frequency and intensity of extreme precipitation events are expected to continue increasing in the coming decades. Intense rain during the growing season increases risk of soil erosion, seed loss, soil saturation, flooding, and nutrient runoff. Loss of field-work days interfered with potato and corn planting in 2015. Strategies to reduce soil losses (cover and companion crops, reduced/no-till, crop residue, mulch bare areas, plasticulture, increase soil organic matter/soil health, contour planting, avoid slopes and flood zones). Selected flood-tolerant crops/varieties, use overseeding to advance crop establishment. High-capacity equipment or short-term labor to accelerate field work if number of suitable days is limited. Ditches, berms, drainage tiles, and engineered solutions to handle excess water. Reduce vehicle traffic on wet soils. Just-in-time fertilizer application, adjust pesticide interval for rain. Greater use of greenhouse and hoop house production. Annual average soil moisture from 0 to 12 inches depth in 2075 compared to past 1000 years. High CO2 emissions scenario. Source: NASA’s Scientific Visualization Studio. Higher average temperatures and longer heat waves lead to lower average soil moisture. 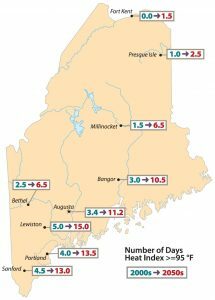 Winter precipitation in Maine may increase; little or no increase is expected in summer, and winter increases will not replace heat-driven losses. Increased rain intensity leads to more water lost as runoff. Maine apple, blueberry, potato and other vegetables, forage, and hay yields were affected by drought in 2016. Drip or overhead irrigation system installation/efficiency improvements. Water harvesting (farm pond, wells, or other water source acquisition). Soil monitoring and weather-based irrigation scheduling. Increase soil organic matter, use mulch to enhance water retention. Site/crop/variety/breed selection for drought tolerance. NEXT STEPS: Explore the Maine Climate and Agriculture Network website, which offers information and contacts to help you identify, finance, and implement weather adaptations that fit your farm. This publication was supported by the USDA National Institute of Food and Agriculture. Information sources for this fact sheet can be found here. You can download a printable PDF of this publication here.